. Software can issue report with results for max. force, elongation, tensile strength, peel strength, tear strength, compression strength, etc.
. 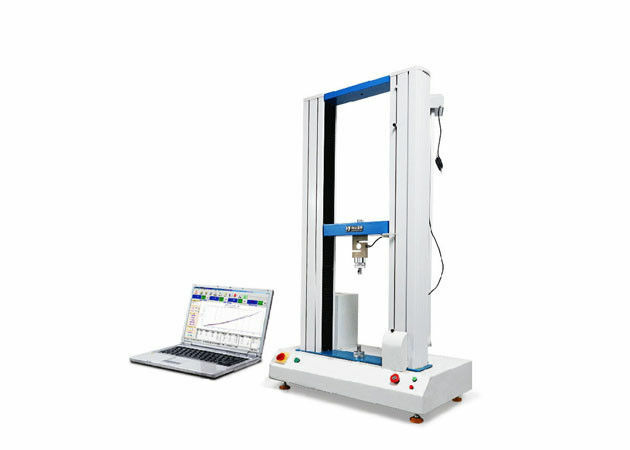 This machine can do different test as per customer requirement such as peel test, tear test, compression test, bend test with different clamps.
. Graph scale automatic optimization can make graph to display with best measurement and can implement graphics dynamic switching in the test and has force-elongation, force- time, elongation -time, stress - strain.
. It can save results automatically after test finished, and it is manual filing. 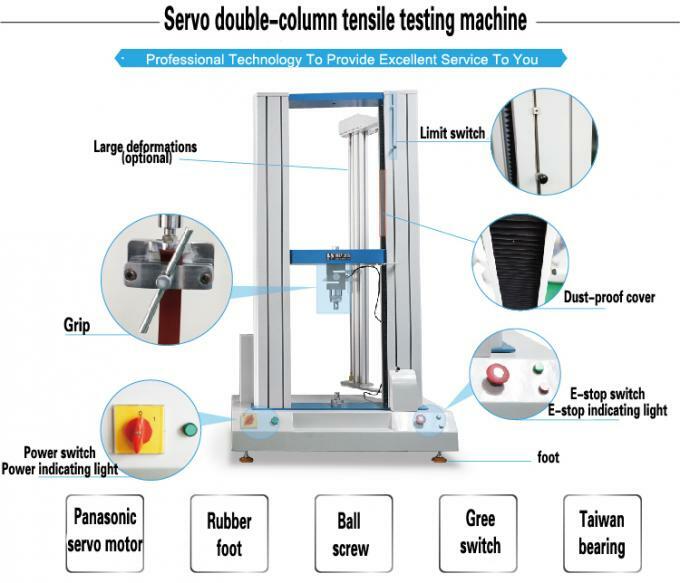 It can display maximum force, yield strength, compressive strength, tensile strength, elongation, peel interval maximum, minimum and average, etc.
. 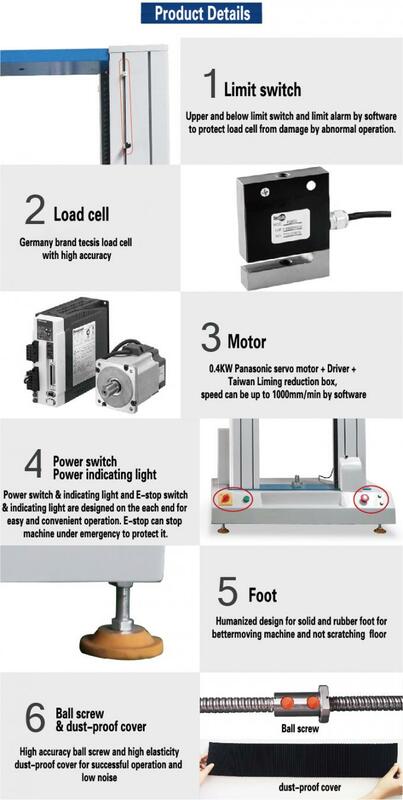 User can set parameters of product material such as length, width, thickness, radius, area and so on.